Those weary of vaccinations have been demanding it for years: a study that shows who is healthier, vaccinated or unvaccinated children? I myself have written about why vaccinations aren’t a good fit for everyone (find those vaccine contraindications here), and have suspected that unvaccinated children are healthier than those vaccinated solely based on my experiences with my own children. But I couldn’t prove it. Until now. A pilot study has just been released. This study compares the health of vaccinated vs. unvaccinated children, and the results are astounding. 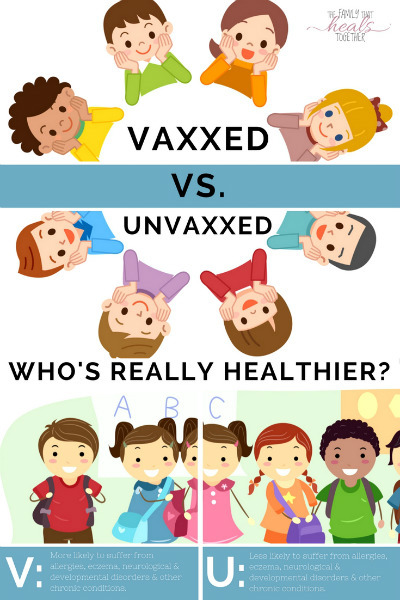 Who’s healthier: vaccinated or unvaccinated children? It has long been assumed and accepted that unvaccinated children spread disease. It’s why we have laws like California’s SB277, which effectively removed vaccination exemptions for parents wanting to avoid them for their children based on religious, philosophical, or conscientious reasons. But is that law based on science? Are vaccinated children really healthier? A recent study says no. The proof is in the pudding: vaccinated children lead less healthy lives than unvaccinated children. The study looked at more than 600 children in four states. 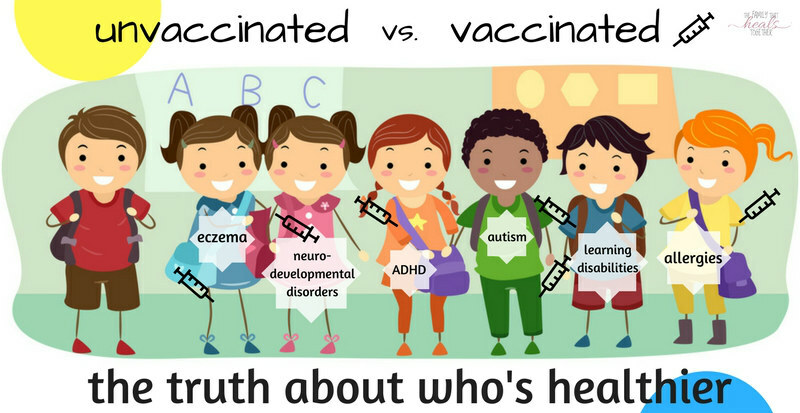 The study aimed 1) to compare vaccinated and unvaccinated children on a broad range of health outcomes, and 2) to determine whether an association found between vaccination and neurodevelopmental disorders (NDD), if any, remained significant after adjustment for other measured factors. A cross-sectional study of mothers of children educated at home was carried out in collaboration with homeschool organizations in four U.S. states: Florida, Louisiana, Mississippi and Oregon. Mothers were asked to complete an anonymous online questionnaire on their 6- to 12-year-old biological children with respect to pregnancy-related factors, birth history, vaccinations, physician-diagnosed illnesses, medications used, and health services. NDD, a derived diagnostic measure, was defined as having one or more of the following three closely-related diagnoses: a learning disability, Attention Deficient Hyperactivity Disorder, and Autism Spectrum Disorder. A sample of 666 children was obtained, of which 261 (39%) were unvaccinated. The vaccinated were less likely than the unvaccinated to have been diagnosed with chickenpox and pertussis, but more likely to have been diagnosed with pneumonia, otitis media (inflammatory disease of the inner ear), allergies and NDD. Vaccines: the greatest medical achievement in history… or the greatest medical fraud? The study looked at completely unvaccinated children, partially vaccinated children, and fully vaccinated children. Researchers examined children’s health based on both acute illness and chronic illness and found that vaccinated children were less healthy in both categories. While vaccinated children were slightly less likely to have suffered from chickenpox (0.26%), pertussis (whooping cough) (0.3%), and rubella (0.1%), they were significantly more likely than unvaccinated children to have been diagnosed with inner ear disease (3.8%) and pneumonia (5.9%). No significant differences were seen with regard to hepatitis A or B, high fever in the past 6 months, measles, mumps, meningitis (viral or bacterial), influenza, or rotavirus. 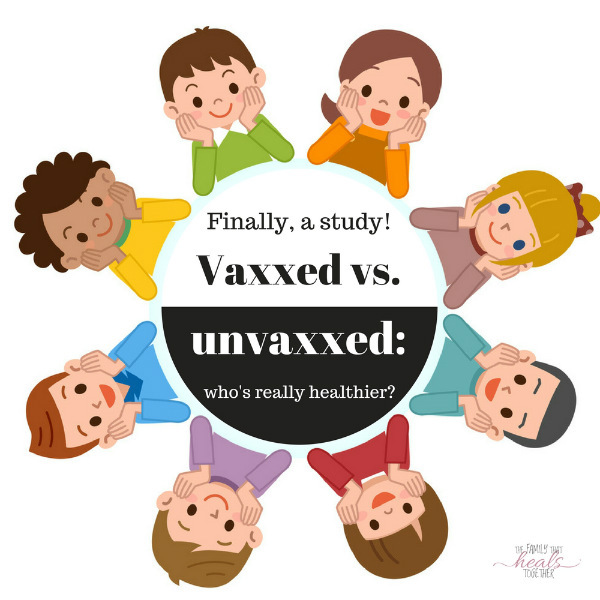 This is where the study finds the most significant difference between vaxxed vs. unvaxxed kids, and may shed some light on the chronic conditions affecting so many American children today. Vaccinated children were significantly more likely than the unvaccinated to have been diagnosed with the following: allergic rhinitis (hay fever/seasonal allergies) (30.1%), other allergies (3.9%), eczema/atopic dermatitis (2.9%), a learning disability (5.2%), ADHD (4.2%), ASD (4.2%), any neurodevelopmental disorder (i.e., learning disability, ADHD or ASD) (3.7%) and any chronic illness (2.4%). No significant differences were observed with regard to cancer, chronic fatigue, conduct disorder, Crohn’s disease, depression, Types 1 or 2 diabetes, encephalopathy, epilepsy, hearing loss, high blood pressure, inflammatory bowel disease, juvenile rheumatoid arthritis, obesity, seizures, Tourette’s syndrome, or services received under the Individuals with Disabilities Education Act. As can be expected from the above outcomes, partially vaccinated children fell somewhere in the middle. In all categories, partially vaccinated children were significantly more likely to suffer than unvaccinated children. Boys were found to be more likely to be diagnosed with a chronic condition or neurological disorder than girls. Children who were born prematurely and received vaccinations had a 6.6-fold increased odds of NDD. Preterm birth itself, however, was not significantly associated with NDD. Because children who were fully or partially vaccinated were at increased risk for both acute and chronic conditions, it should come as no surprise that vaccinated children were also more likely to be on medication, visit doctors and emergency rooms, and undergo medical procedures. Most significantly, vaccinated children were 21.5% more likely to be on medication for allergies than unvaccinated children. 1.8% more likely to have spent one or more nights in the E.R. More than twice as many vaccinated children were on ADHD medication than unvaccinated children, and 4 times as many used medication for seizures. With regard to acute and chronic conditions, vaccinated children were significantly less likely than the unvaccinated to have had chickenpox and pertussis but, contrary to expectation, were significantly more likely to have been diagnosed with otitis media, pneumonia, allergic rhinitis, eczema, and NDD. The vaccinated were also more likely to have used antibiotics, allergy and fever medications; to have been fitted with ventilation ear tubes; visited a doctor for a health issue in the previous year, and been hospitalized. While vaccinated children were slightly less likely to come down with what were once common childhood illnesses, such as chickenpox and rubella, they were significantly more likely to suffer from lifelong, debilitating diseases like autism, chronic allergies (more and more of which are turning into life-threatening food allergies), and neurological and learning disorders. We have traded temporary discomfort for a lifetime of disease and our children are clearly paying the price. Recent studies have found that American children are among the unhealthiest in industrialized nations, despite receiving the most vaccines. [There is a] relationship between the number of vaccine doses administered at one time and the rate of hospitalization and death; moreover, the younger the infant at the time of vaccination, the higher was the rate of hospitalization and death. The hospitalization rate increased from 11% for 2 vaccine doses to 23.5% for 8 doses, while the case fatality rate increased significantly from 3.6% for those receiving from 1-4 doses to 5.4 % for those receiving from 5-8 doses. In other words, more vaccines= more illness and death for our children. We are in a current climate of young mothers who were fully vaccinated as children and therefore, did not undergo routine childhood diseases like measles and chickenpox, so are unable to pass on those antibodies to their children via breastmilk. 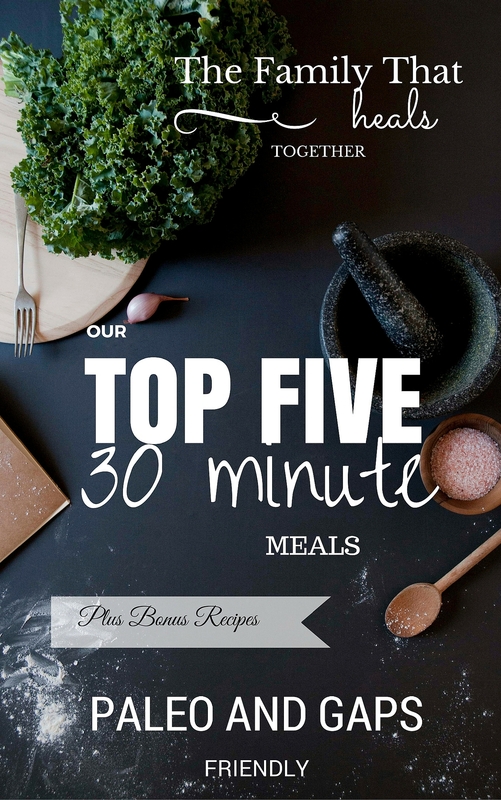 However, breastmilk is still one of the best ways to support an infant’s immunity. Feeding your child a whole foods diet, avoiding artificial food additives and pesticides, and providing your child with clean air and water (in other words, avoid fragrances and conventional cleaning/laundry supplies and filter your water!) is enough to keep kids healthy and protected. Let’s keep in mind that the vast majority of “vaccine preventable” disease deaths occur in third world countries where adequate nutrition, clean water, and medical care are not available. Clearly, the lie that vaccinations are the only way to protect our kids is a fallacy that has done more harm than good, but informed parents can make better choices for their kids. You can read the study, done by Anthony R Mawson, Professor at the Department of Epidemiology and Biostatistics, School of Public Health at Jackson State University, in its entirety here. Update: the original publication was pulled due to backlash. You can read my response to that here. Does this new study of vaccinated vs. unvaccinated children surprise you? Be sure to share using one of our links for friends who may be surprised to hear this new information! The link to the study is broken. Can you help? Rebecca, I’m a little confused on this one. This really has little to do with building stronger immune system. Vaccines do not exist to prevent the common cold. They primarily exist to prevent contraction and spread of horrible diseases in which humans are unlikely or unable to develop natural immunity to, or are at greater risk of dying without immunization. Let’s take the Tetanus Vaccine as an example. Most kids get a tetanus shot modern times. 90% or so in the USA. If your child is not vaccinated for tetanus and subsequently contracts this horrible bacteria, they have about a 50% chance of dying. I could go on about the other vaccines and examples, but you get the point. I choose to spread out my child’s vaccines over a long period of time. Not vaccinating at all makes zero sense and you’re putting your child at risk. If we all stopped vaccinating right now, many people would die unnecessarily within a few years. Vaccines aren’t just about preventing diseases in the subject, they are about preventing the spread of the disease. Matt, I have posted a link to the CDC website so you can see for yourself that tetanus has a 1 to 2 in 10 chance of death. That is provided you are one of the 30 unfortunate people per year who catch it. And, contrary to popular opinion, tetanus isn’t a common disease, and it is in no way a widespread disease. Please take time to look at the posted link, I feel that it shed some light on the subject. My concern has been the decision to omit relevant findings in a particular study for a particular sub group for a particular vaccine. There have always been recognized risks for vaccination and I believe itis the responsibility of the CDC to properly convey the risks associated with receipt of those vaccines. Vaccines are not as safe as you think and there is multiple cover ups from the CDC regarding this issue. There is another study done regarding the SV 40 polio vaccine that was giving people cancer. non vaxd vs their brain & body-inflamed vaxd kids. Forgive me Sara, I’m not trying to be intentionally augmentative, but you have to know how impractical your statement sounds. Pray tell how you were able to accomplish this omniscient feat of researching “ALL documented truth” and how you can possibly surmise that “probably ALL non-vaxxed parents can describe the vast differences….” Sara, these type of statements simply cannot be proven or justified. Nor are they productive to the underlying discussion. I can totally respect the previous comments from people who actually took the time to add relevant facts or links, but your comments come off as ignorant, unsubstantiated and petty. Next time you may consider educating people like me – as opposed to divisive conjecture. I’m not against you Sara – and you should not be against me. Rather we should both be having a discussion and educating one another on facts and research. (Thank you Jesse for your previous insight above on Tetanus). Wondering if you recall whether they stated which states and regions the children were from and if they researched within region so as to remove outliers like the fact that kids in Oklahoma (whether vaccinated or not) are more likely to have allergies than children in Oregon or Phoenix due to the realities of weather patterns? In your references I didn’t know a delineation of that nature so it seems that outliers and all the extra equations? Did children follow the same diet, use the same cleaning products, follow the same or similar indoor and outdoor time, what about screen time usage, how often where homes and vehicles clean, what type of bedding was used, what laundry detergent? Did they mention any of this in the study? All of these influence health and it seems that in a short study not done over years of time, there could have been things missed. I’m absolutely very cautious and concerned about vaccination so I’m not saying this to be contrary… just asking in hopes that an actually scientifically realiable study was conducted? Otherwise it kind of seems like similar research to those saying vaccines are fine. The original study can still be found. I agree- there are a lot of variables; however, these results alone indicate a need for further study. I cannot find the link in the article to the study please reply to this comment with the link. The study is linked up towards the bottom.